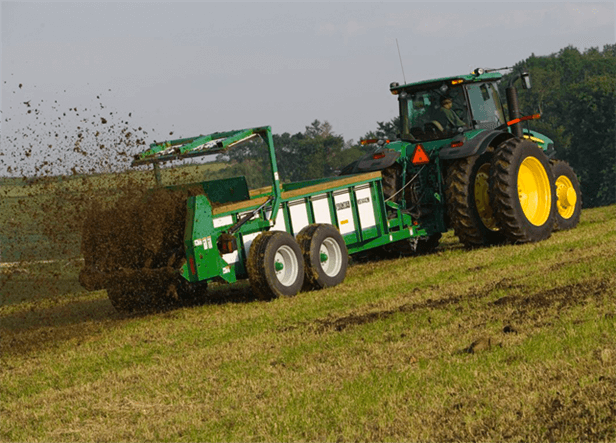 The new Frontier Hydraulic- Push Manure Spreaders feature a variable-speed hydraulic push-gate which makes unloading super fast. The pushgate is angled at the bottom to efficiently remove manure. Dual "piggy-back" hydraulic cylinders reduce the overall length of the implement for tight turns. And steel tubing runs from the hitch to the rear axles for support and durability.